Chaos or Logic? Putting your brain to the test. Online tests are a great way to quench boredom and simultaneouly affirm oneself, so when this gem came up on Facebook the other day I couldn’t resist. 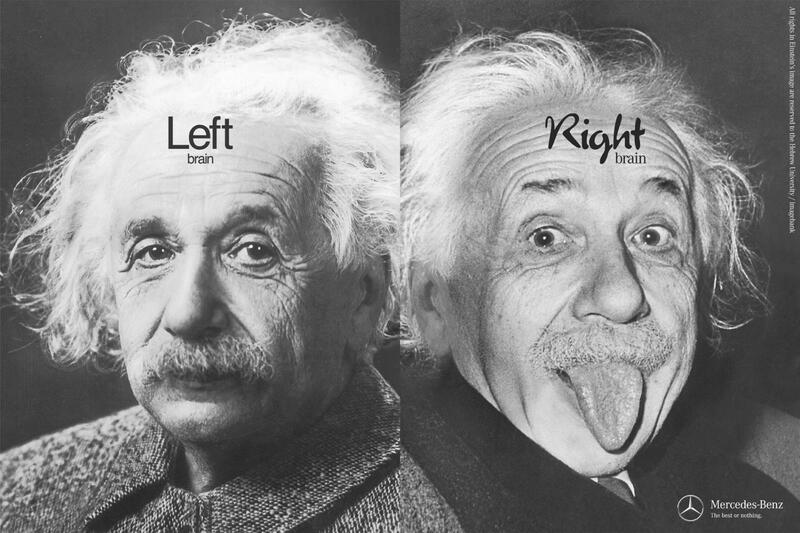 The old left vs right brain test. When I got my results, the first word I read was chaos. Interesting what we notice. Then I read all the other positive adjectives and thought hey, that’s not so bad. I’m secretly still thinking about the chaos — imagining a rational, logical version of my life. However, I’m not sure I’m smiling in this alternate reality. I decided to put my mother to the test, who in my mind epitomises eccentricity and intuition. Having seen my result, she had an inkling what the test was all about. She then purposely went against her natural response to try and prove what a detail based, rational person she was. Despite her test results, I wasn’t convinced. Funny, how we often are in conflict with our own extremities. The chaotic want logic, and the logical want chaos. Maybe there is some happy medium in this stomping ground of grey matter. 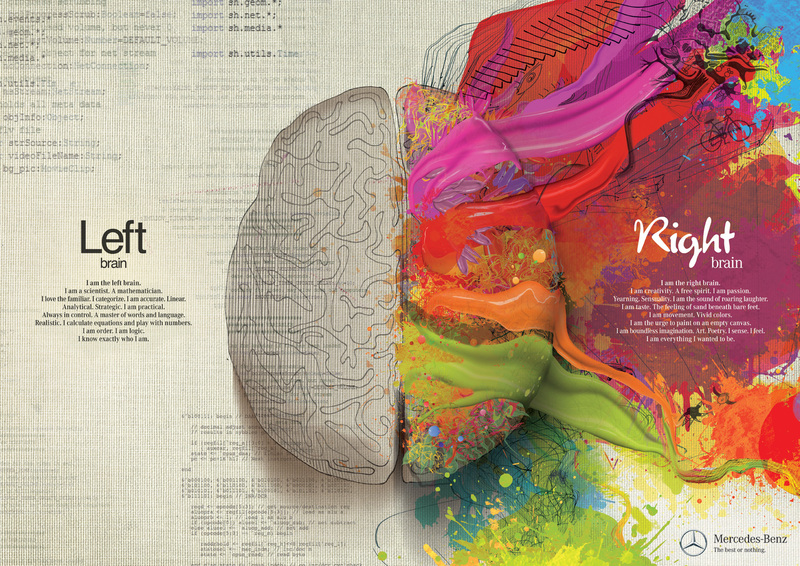 People argue the whole left vs right brain thing is a myth. They’re probably right. 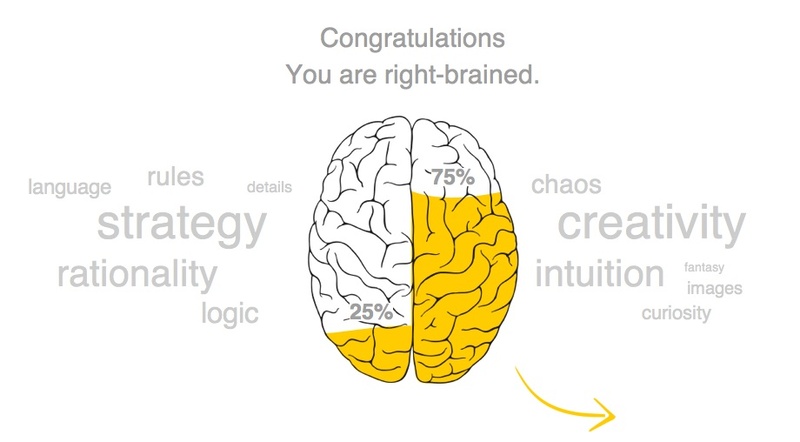 Still it proves for an interesting tool to contemplate our strengths, weaknesses and quirks. If you’re still reading, put yourself to the test, then you too can get the satisfaction of putting yourself into a nice wee box.